Deploy an online school in a snap. With KSmart Integrated SIS, we have created something great for education and we want every school to be part of it. KISIS is built on the strength of education technology to help easily transition traditional schools to cloud-based learning or E-learning. KISIS makes it so much easier for schools to be hosted completely online in a very short time. KISIS comprises of a Student Information System (SIS), a Learning Management System or Virtual Classroom (LMS), a Content Management System (CMS), an E- payment solution as well an Administrative management backend. 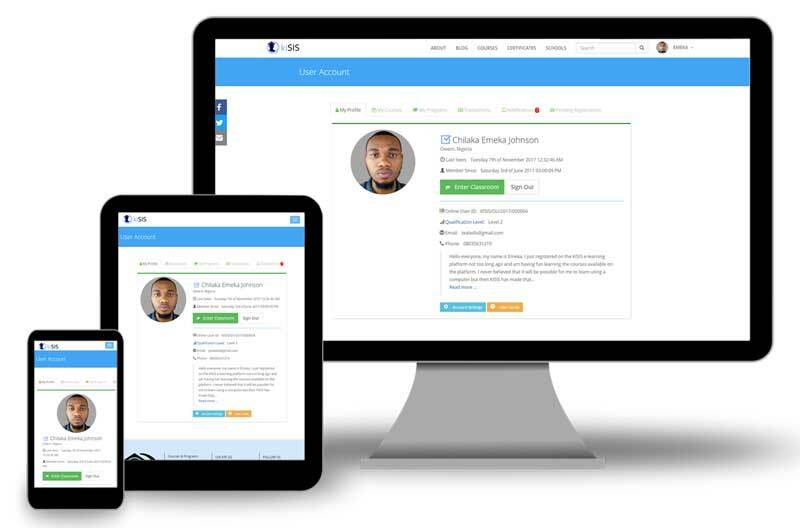 Everything that is needed to effectively run an online school has been integrated into KISIS. Designed and built following modern web design principles and guidelines, every part of KISIS looks stunning. Attention to Responsive design gives KISIS the ability to adapt to any device it is accessed from – laptops, desktops, tablets, phones…KISIS looks beautiful and works perfectly. KISIS allows for deep customizations in it’s look and feel. Entire appearance of KISIS can be customized to reflect any school’s unique identity. KISIS comes with a wide feature set giving students, teachers and administrators all that is required to study and function in a perfect online school environment while being productive and engaged. Taking online courses on KISIS is intuitive and fun. Online courses are available on KISIS through the virtual classroom. The virtual classroom, which is an integral part of KISIS, is built around a powerful Learning Management System (LMS). All classroom tasks and activities are handled in the virtual classroom. Through the virtual classroom, students can access online courses and resources, partake in activities such as assignments, forum discussions, lessons and quiz. The virtual classroom allows interactions among students and teachers. Students can easily communicate and collaborate on projects using wikis, blogs, chats, forums, and groups, which helps them stay focused and excited. Teachers can grade activities and issue feedbacks to students on their performance in a course; enabling tracking student’s proficiency level in a course. We identified ways education could be transformed to make learning so much better. We’ve created a revolutionary product that can help deliver quality education to everyone. 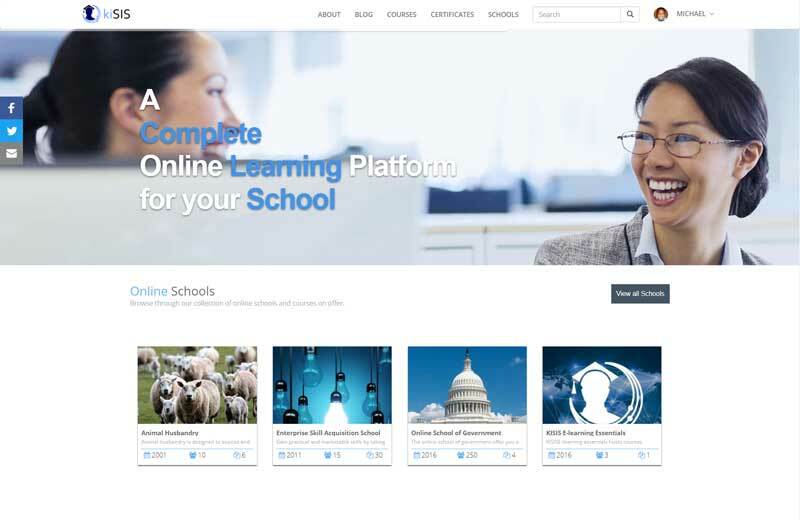 KISIS makes it possible for schools to generate extra revenue by selling online courses. Several online courses can be grouped and hosted as a program which can also be sold. 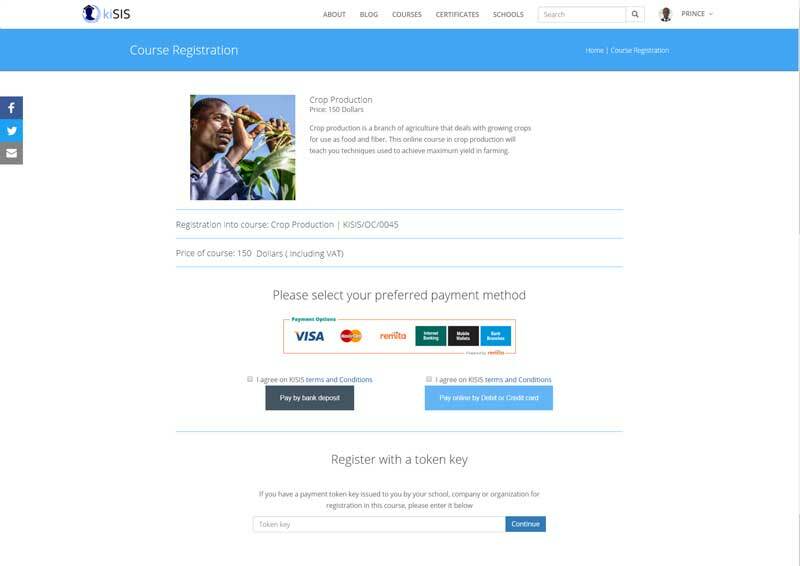 Course and program monetization on KISIS is made possible through the integration of an e-payment solution. The e-payment solution makes it possible for payments of courses and programs on KISIS to be made online through credit or debit cards. KISIS e-payment solution also supports payments through bank deposit or token keys. Token key are codes that can be generated on KISIS and used for course registration. These codes can be generated and sold in bulk to a company or organization whose staff are required to undergo training by taking courses online. Don’t just take our word for it! Go ahead and try it out. We have setup a complete version of KISIS, with demo courses, programs, schools and certificates for anyone interested to get a proper hands-on of KISIS and judge for themselves if it’s worth it. 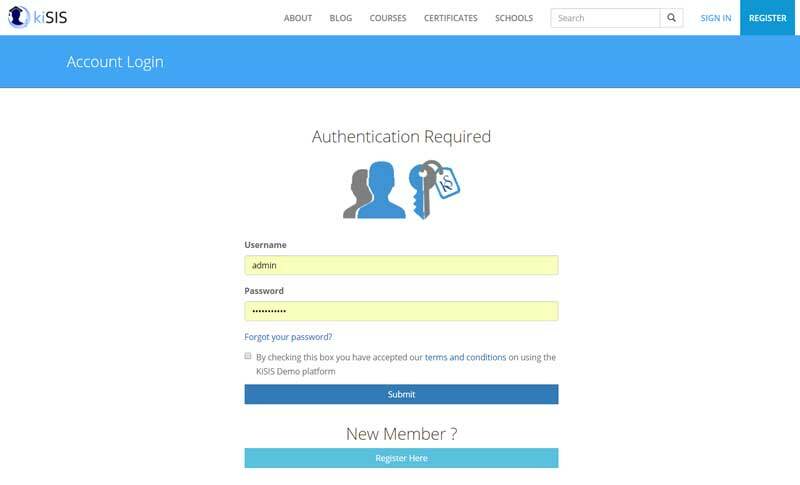 Simply visit the KISIS demo website and create a student account by registering. 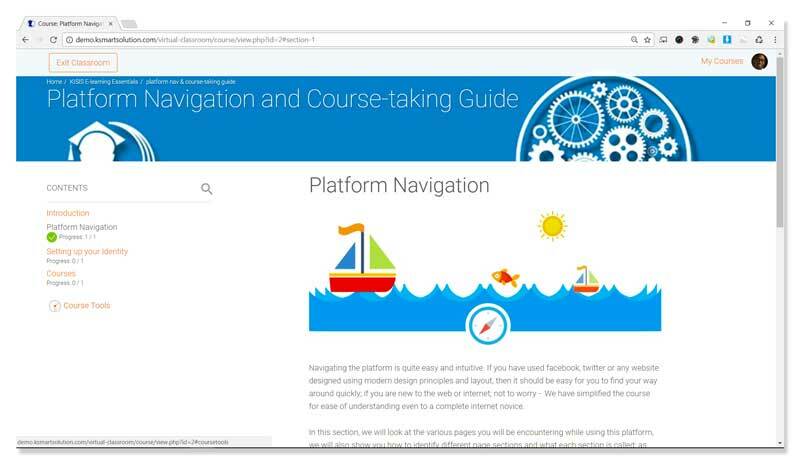 Browse through the collection of demo courses and programs as well as other frontend pages; Register in any course or program; Explore the virtual classroom and take courses. Also included in the demo is the Administrative back-end. The back-end hosts features that allows administrators fully manage KISIS. To get access to the administrative backend of KISIS you will have to contact us. Use the contact-us link to get in touch; we are always eager to help. Thank you for trying out KISIS. Let’s help you host your own online school today using the KSmart Integrated Student Information System platform.